question statement per each requirement for user's reference. Guide" for a quick reference to use the scorecard to an optimum scale. 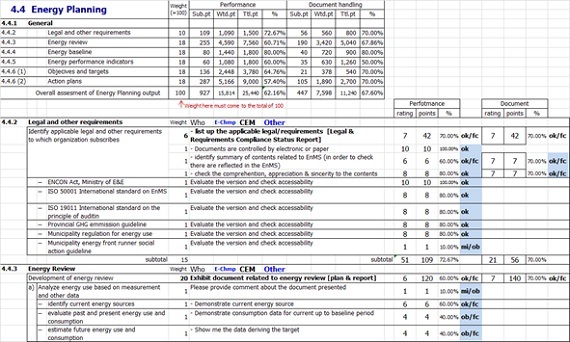 Function: Each EnMS Audit scorecard file contain 8 sheets. 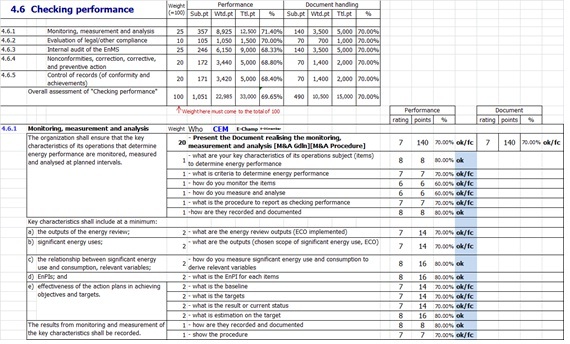 (4.1 Gen.Assessment; 4.2 Mgmt Resp; 4.3 Energy Policy; 4.4 Energy Planning; 4.5 Implementation; 4.6 Performance; 4.7 Management review; and Document Rating) This scorecard is to score each prepared questions in line with ISO 50001 EnMS requirements with 0-10 point scale. Completing the scoring, it will derive to 0 – 100% rating for the following three aspects. 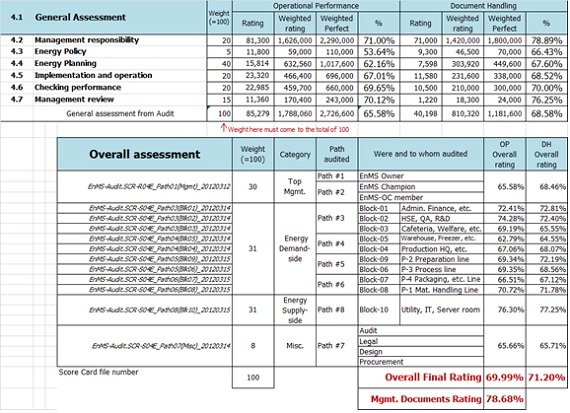 benchmarking the EnMS operational and energy performance with others.